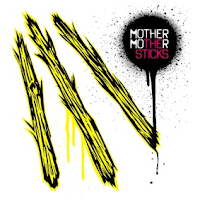 Snob's Music: Mother Mother set to release "The Sticks"
Mother Mother set to release "The Sticks"
Vancouver's Mother Mother are trying to make the most of their success. They are jumping right back into the thick of things with a new studio album. The record, The Sticks, will come out on September 18th. Listen to the track "Let's Fall In Love" here.